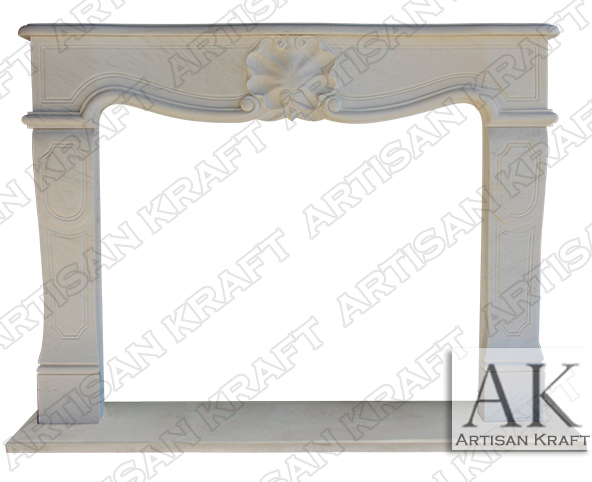 A seashell flower dons the center of the frieze on this sandstone French Heritage Mantel. A gorgeous fireplace by all standards that’s a modern twist on a beachside retreat. This surround can be hand-carved from marble. It’s simple carvings and style make this a popular choice for many designers. 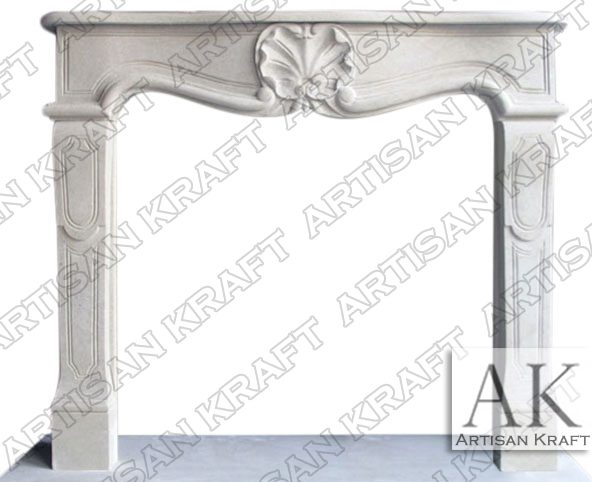 Below a white marble option brings elegance and class to your space with this beautiful arched header flanked with hand carved details. French Heritage also looks great carved from limestone. Limestone is great for these types of surround facings. Check the sale page if available. Stone: GFRC, limestone, travertine, precast, sandstone, marble.